Are you familiar with Westminster Woods’ one day challenge course programs? 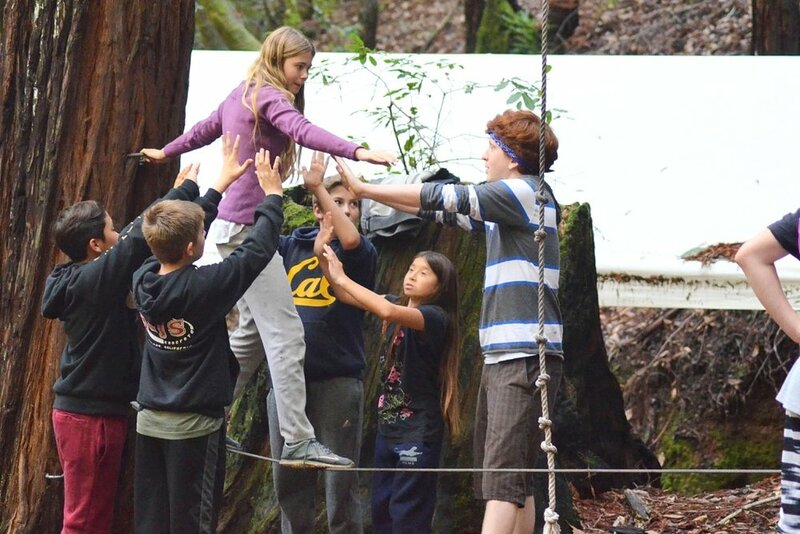 On our extensive redwood challenge course, students develop teamwork, cooperation, trust, and perseverance through activities facilitated by our professional staff. In small groups, students will collaborate to solve problems, overcome obstacles, and strengthen the classroom community. 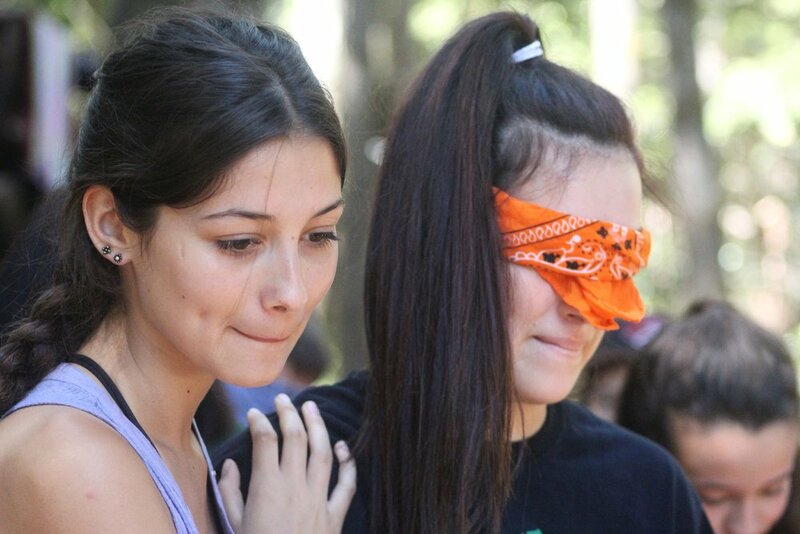 Programs typically are held 9:30-4:30 and include teambuilding initiatives and an optional high ropes experience. The day begins with students meeting their Teacher Naturalist facilitators and learning important concepts such as ‘Challenge by Choice’ and ‘Success at Every Step’ that set the tone of both focus and fun for the rest of the day. Then in small trail groups of about 10-14, students will complete a series of fun, community building initiatives that build into complex team challenges. These activities are specifically designed to increase the group’s ability to effectively communicate, problem solve, think critically, and evoke personal leadership abilities. After a morning of teambuilding activities, many schools opt to add two high ropes elements to their afternoon. Teacher Naturalists carefully choose two elements to meet the needs of their group. 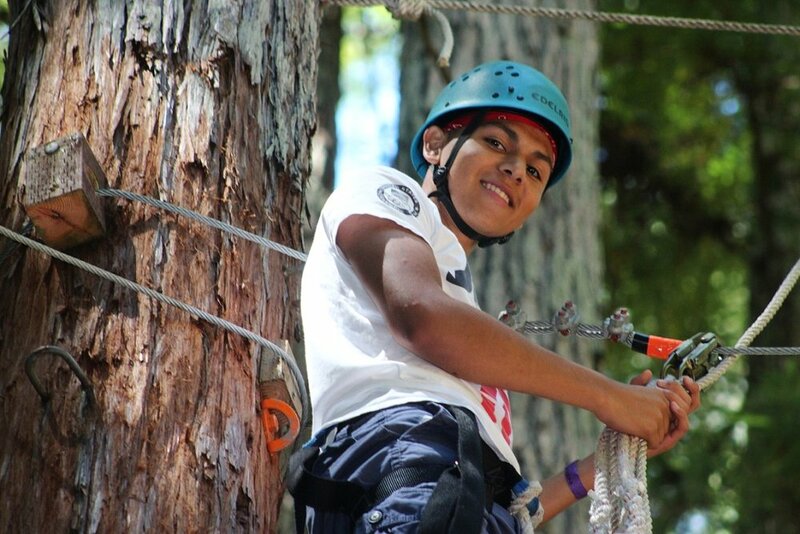 Students have the opportunity to challenge themselves as individuals, work as partners, and coalesce as a team as they support each other through mentally, emotionally, and physically demanding high ropes activities. At the end of the day, the whole school comes together to complete a closing activity, reflect on their challenge course experience, and connect what they have learned to daily life. One day challenge course programs are a great opportunity for school groups to strengthen their community and set the tone for the school year ahead. Are you a teacher interested in reserving a challenge course program for your students? Inquire here!